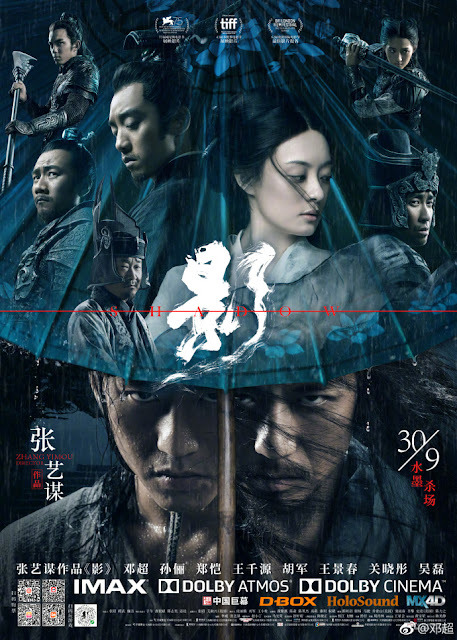 Zhang Yimou and the cast of Shadow have been trotting the globe from Venice to Toronto for their new movie. It is Zhang Yimou's comeback movie in a way as he returns to his roots of making wuxia movies. Deng Chao who is best known to international audiences as the host of Running Man China takes up the mantel as the main protagonist. He plays two distinctively different characters and took drastic measures to lose about 40 pounds for the role. His wife Sun Li who plays the leading lady posted photos of her husband's dramatic weight loss from 83kg to 63kg. She further shared that she finally understood the role of food in keeping a person's physical and mental health because her husband became habitually cranky from having no food. 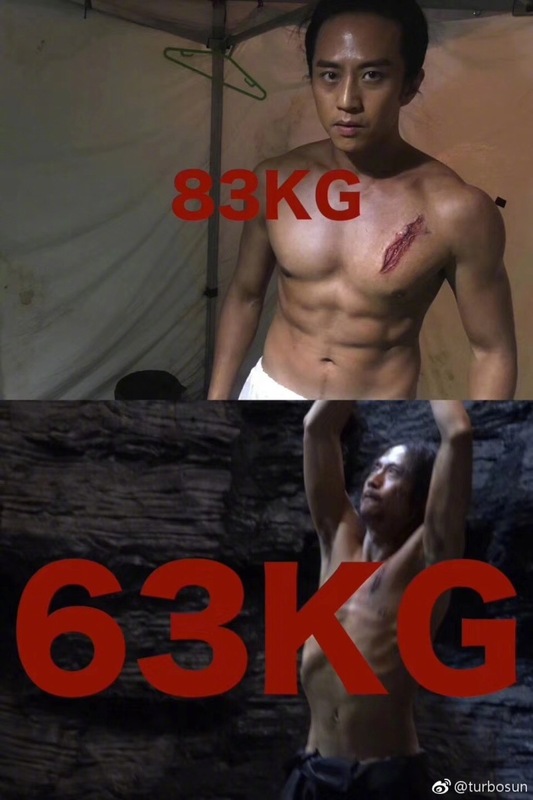 Under the supervision of professionals, of course, Deng Chao's daily intake had to be reduced to 800 kcal (at least one day, he would only eat 2 eggs) which is a far cry from the recommended 2,500 kcal recommended calorie intake. Sun Li reveals that this caused several health problems, and she's glad it all ended after filming was completed. I empathize with Sun Li. I know she must have been worried those 4 months that he was trying to rapidly lose weight. 20kg is roughly the weight of a toddler so it's not easy and possibly dangerous. I remember Christian Bale had to lose 63 lbs or around 29 kg for the movie, The Machinist, and he looked like he was dying. With Deng Chao, he still looks healthy-ish. I admire actors who are willing to go the extra mile for a role but extreme fluctuations in weight is not healthy so actors and actresses should not do this often. LMAO same here. The struggle. I started diet 40yrs ago....I am still dieting.I am still not at my target. And it just gets harder as I age. that's NOT Healthy-ish! That's called Anorexic!! !